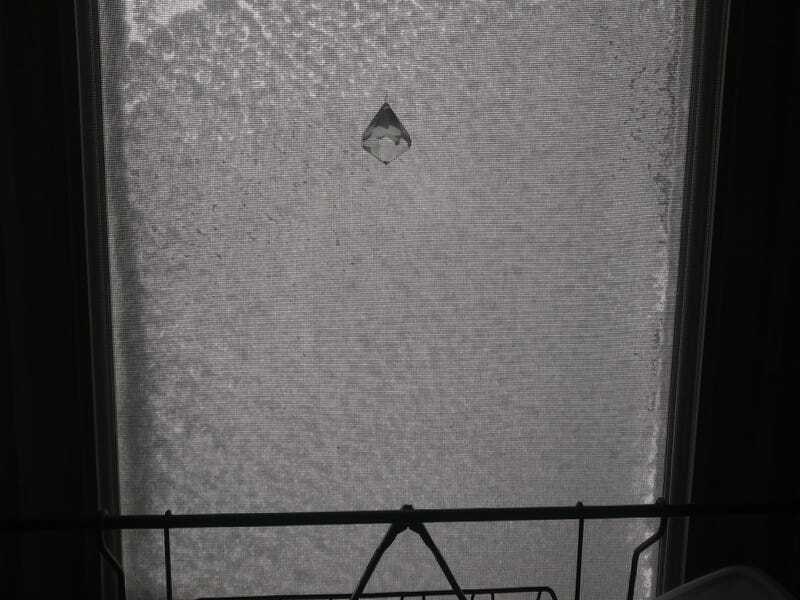 Yep, screen is packed full of blowing snow. Lets try another one. Garage roof is clear because the wind is blowing too hard for it to accumulate. No idea how much snow has fallen as it is drifting everywhere. The wind is trying to make the wagon more aerodynamic with a snow kammback. The highway is just barely visible, and only a very occasional vehicle. Plow trucks are doing their best, but the wind is making it only marginally effective.